After the wedding is over both a bride and a bridesmaid are left with the arduous task of figuring out what to do with that dress. It takes up a lot of room in the closet and your mother won’t stop nagging you about it – and the thank you notes – and do you know how to properly care for your new Calphalon pots, and do you want her chicken chili crock pot recipe, etc. So long story short – you have a lot on your mind. Here are few options to help inspire you after the fact or help you plan ahead. You can preserve your dress. If you want to preserve your dress for sentimental reasons you can have your dress professionally cleaned and sealed. Make sure you or someone you trust has a safe place and room (they are often big boxes) to store the sealed dress. 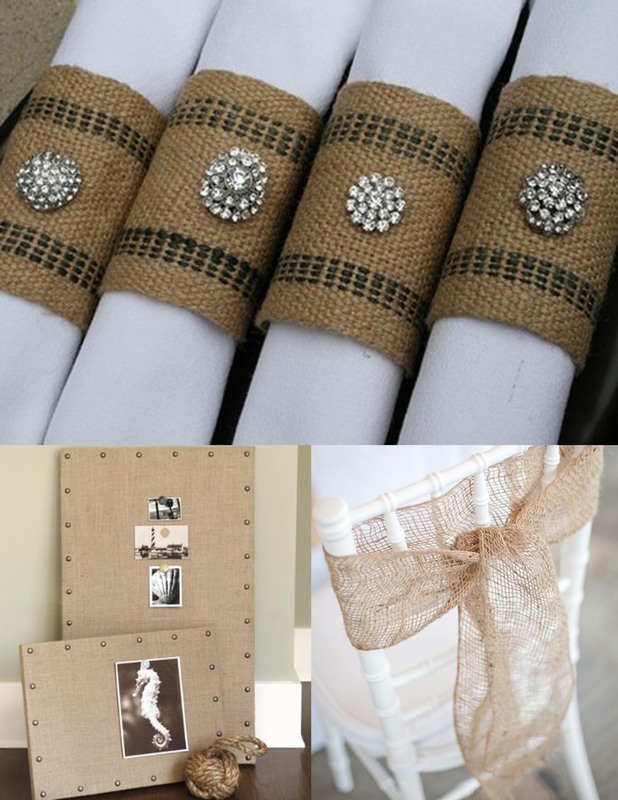 If you are a bride and the dress was either ruined at the wedding (thanks to your friend doing the running man with a full glass of red wine) or it does not hold sentimental value to you – there are still a lot of great things to do with that dress. You can donate your dress. Bridesmaids dresses can be donated to The Cinderella Project which is an organization that provides dresses for formals and proms to girls who might not otherwise be able to afford the event. Brides can donate their dresses to local charity thrift stores or Goodwill. One creative blogger put her dress on her blog and donated it to the person who wrote back with the best reason for wanting it. The winning recipient wanted to gift the dress to her daughter as she would never be able to afford to buy her one. You can sell or consign your dresses. If your dress has a designer label and is in excellent condition you can probably sell the dress. You could take the dress to a consignment store or try to sell it yourself on Ebay or Craigslist. 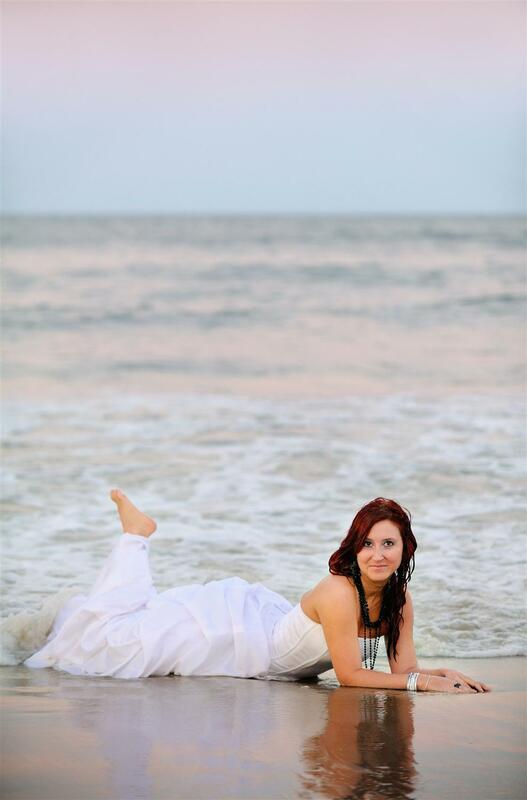 Schedule a ‘Trash the Dress’ shoot with your photographer. This is an opportunity to have some really fun bridal portraits made without having to worry about getting anything on your dress. 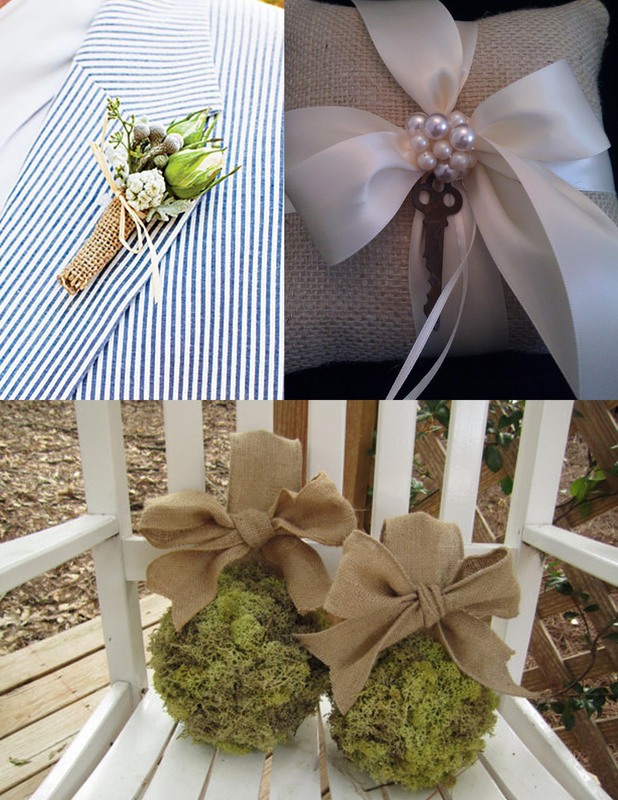 You can make or have beautiful keepsakes made for you. If you think of your bridal gown or bridesmaids dress in terms of yardage – you usually have at least a yard of nice satin or silk fabric. 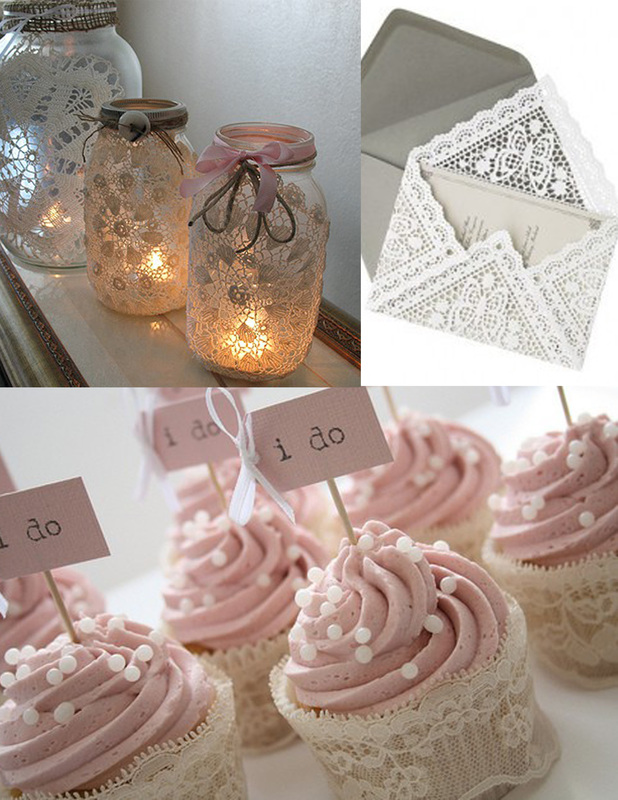 For bridal gowns you can create an instant heirloom by having a christening gown or baby blanket made from your dress. Bridesmaids you can have pillows made. Imagine Becky’s surprise the next time she comes over. We kid! But seriously – have you worn any of your bridesmaids dresses again? 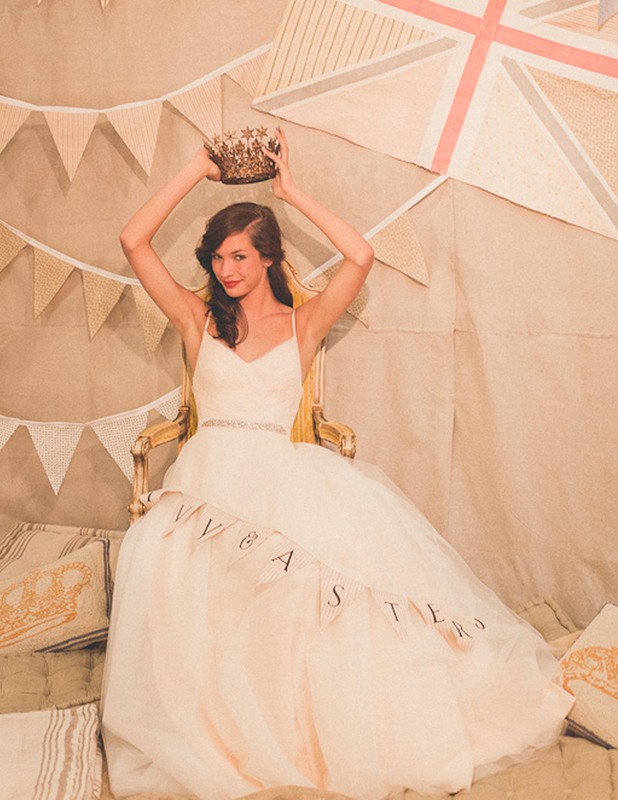 What creative reuses for wedding gowns and bridesmaids dresses have you heard of? 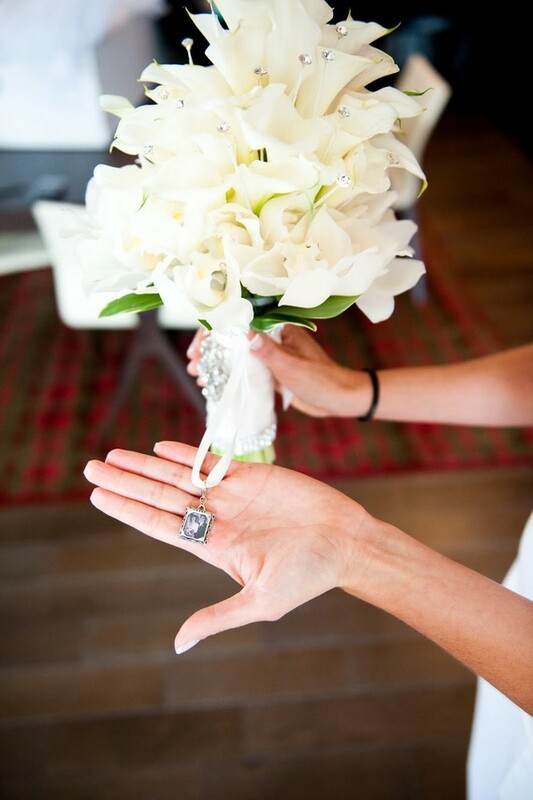 Attaching a keepsake to the bridal bouquet is such a special way to incorporate a memento into a wedding. 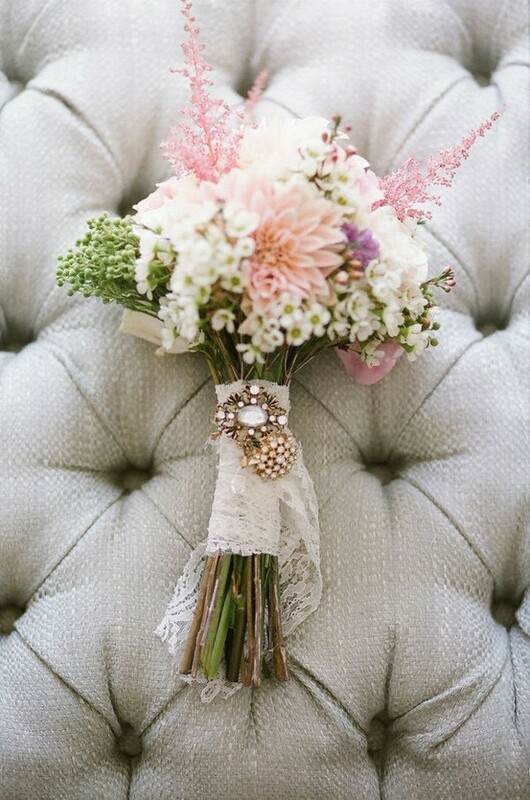 Here are a few of our favorite bouquet charms and adornments. 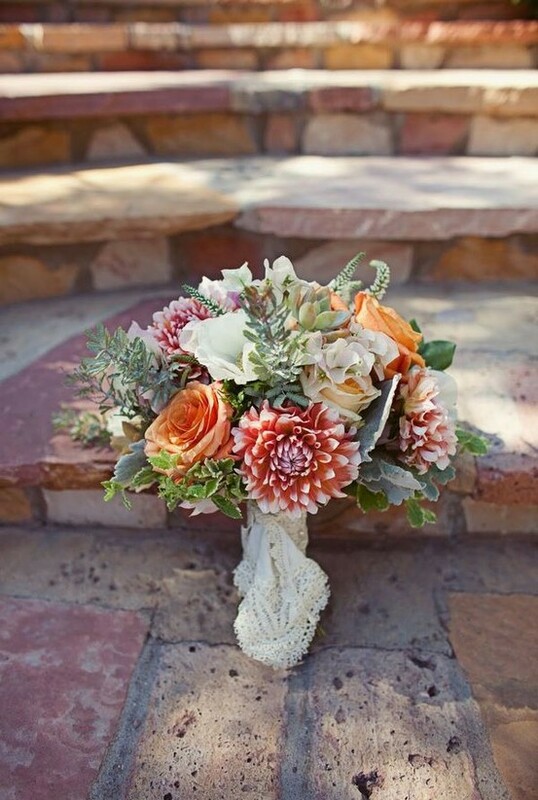 The cameo on this bouquet is made even more stunning by the lace wrapping underneath. 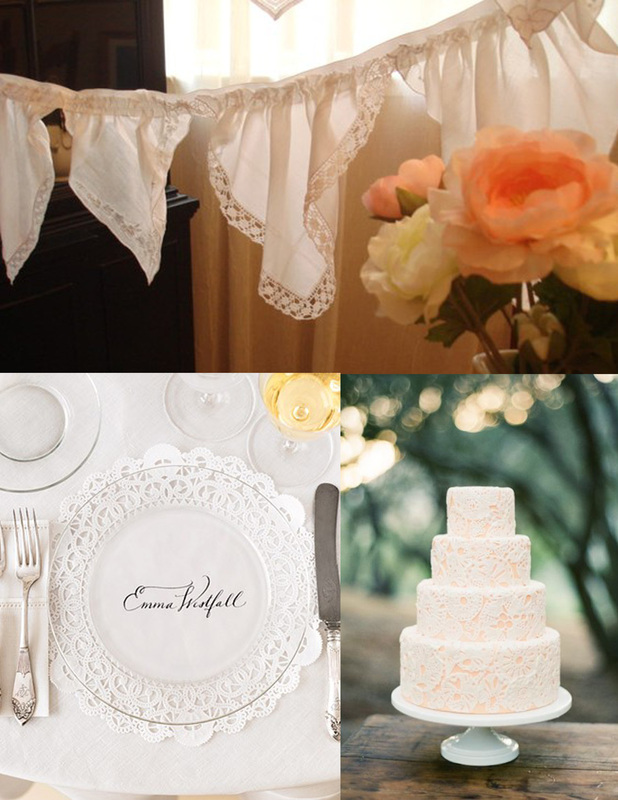 A vintage handkerchief can easily be affixed to the bouquet and can be monogrammed with the date or the bride’s initials to become an instant heirloom piece. 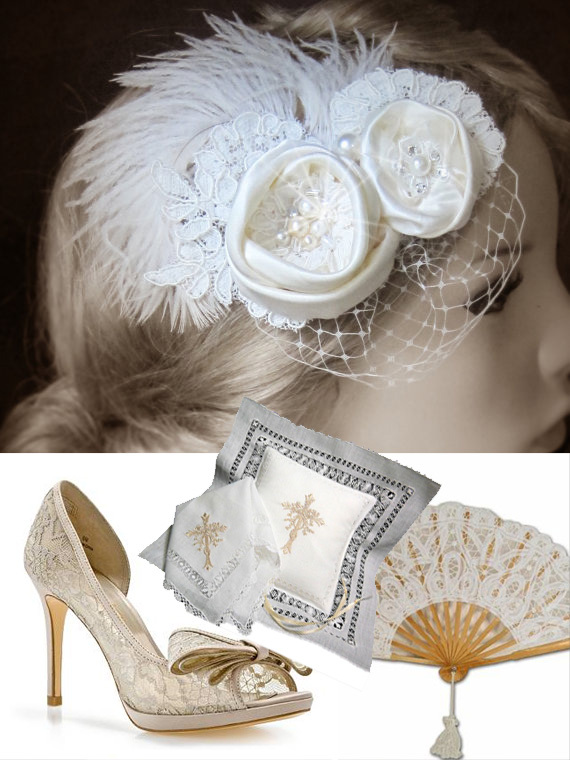 We love how feminine this one is with the lace. If you don’t have a family heirloom locket, several vendors have started to create small lockets exclusively for use as a bouquet charm. If made of high quality materials the locket could be added to a charm bracelet or chain and worn as a necklace long after the wedding. 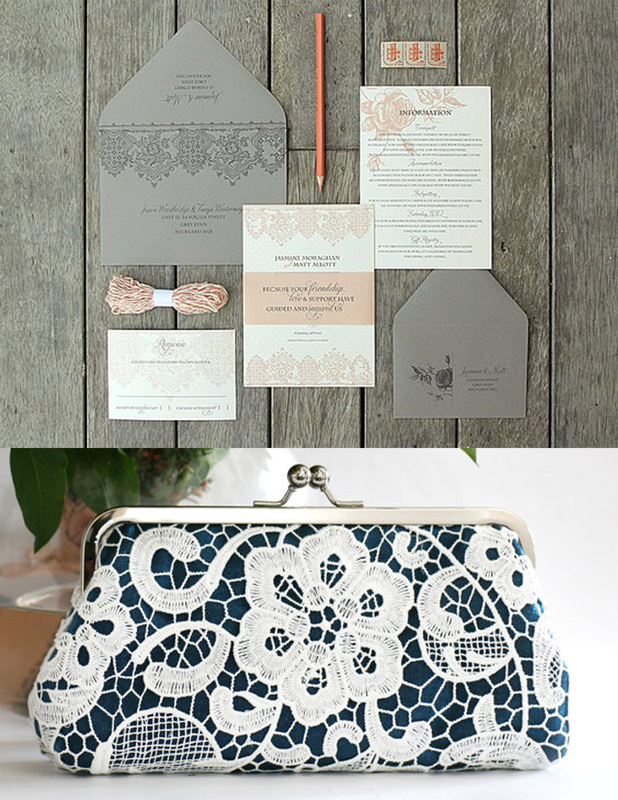 We love this unique rectangular version from Etsy. 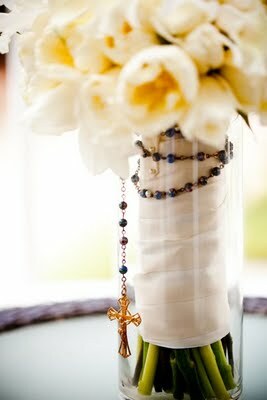 This bride chose to incorporate a family rosary into her bouquet. It is truly a beautiful addition. 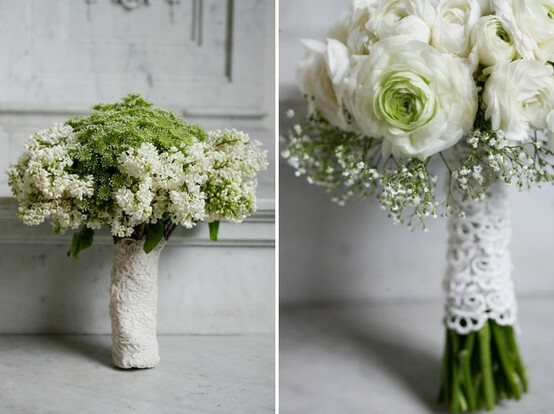 Simple lace wrapped bouquets are so elegant. 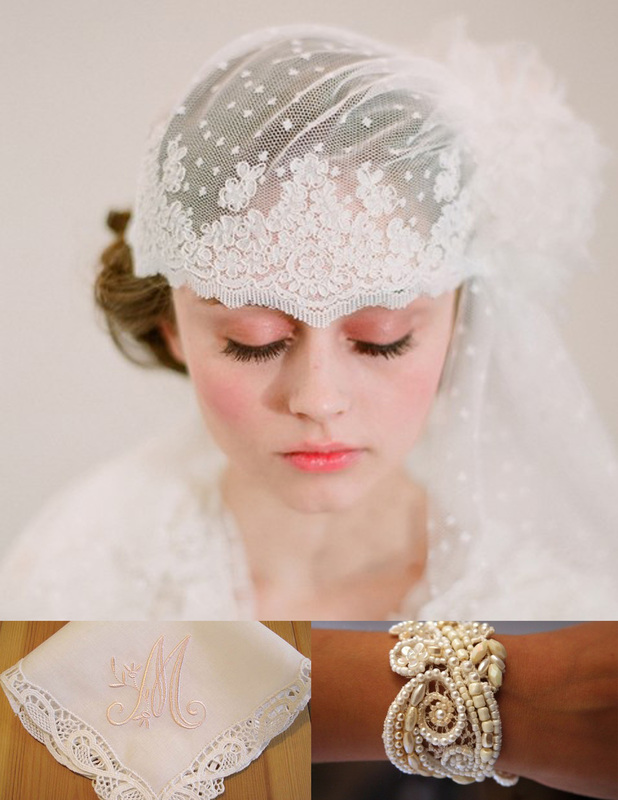 The lace could come from excess from the brides post-alteration gown or a family dress or veil. 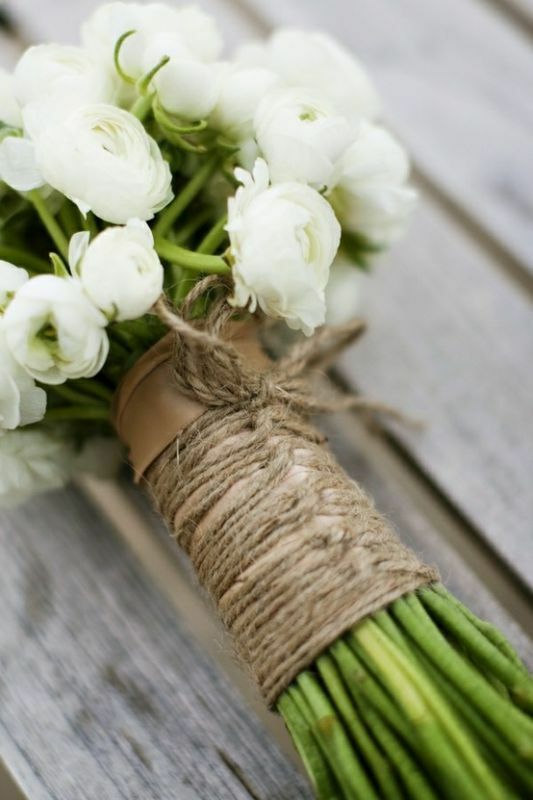 This twine wrapped bouquet looks so fresh and organic. 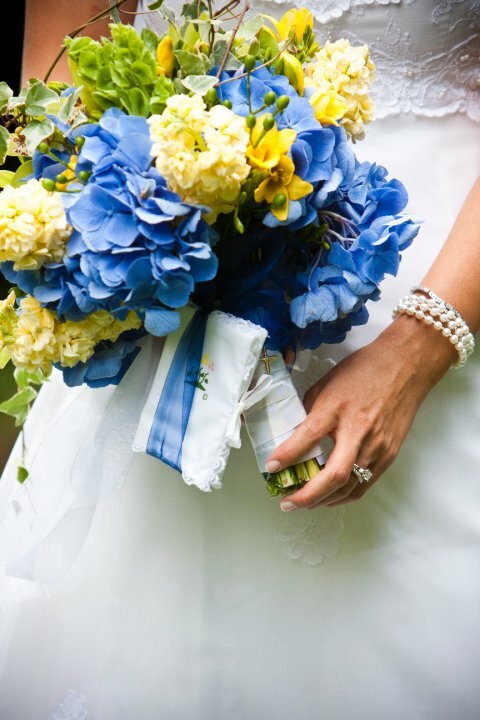 Before bouquets – many brides carried small family bibles. 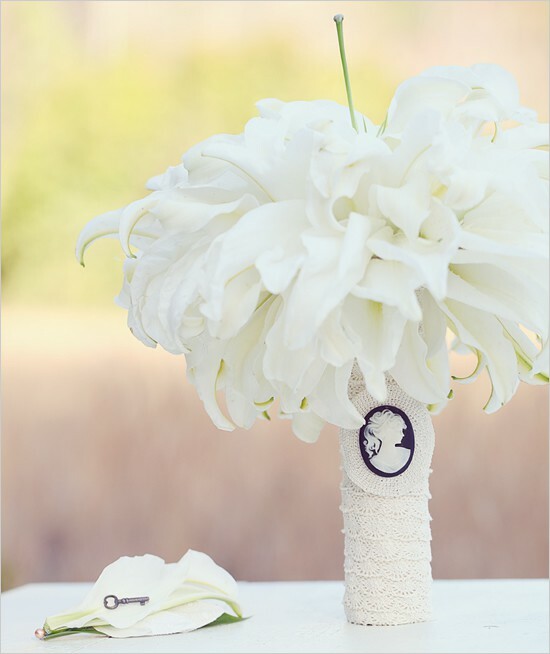 Today modern brides are keeping up this tradition by carrying these same small bibles but incorporated with their bouquet. Many of these bibles were carried by both their mother and grandmother in their weddings. Flipping through the latest bridal magazines has inspired us to go gown shopping. We broke them down by theme and here are our favorites. This is the Nadine gown by Amsale. We were immediately in love with the ruffled halter but were completely blown away when we saw those pockets! Designed by Lula Kate the Ashley dress is traditional in cut, color and fabric. It could easily be adorned with a trendy sash or hair accessory and if carefully preserved could be passed down for generations. 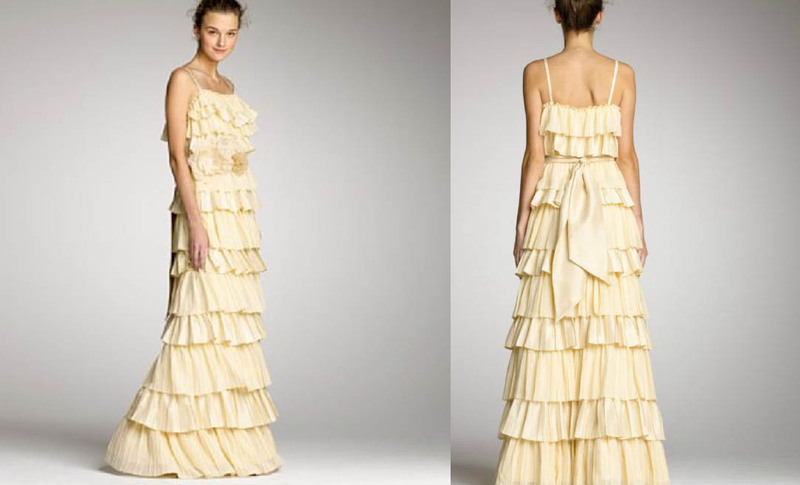 This Tiered Analisa dress by J.Crew is stunning and would be perfect for a garden wedding. This Lazoro dress is fit for Cinderella and her fairytale wedding. The detailed bodice and flowing skirt are simply stunning. This Sue Wong strapless embroidered gown has a modern silhouette with art deco patterns of embroidery and lace. We love the attention to detail. We love this Ann Taylor throw back look to the Fifties. This dress is ideal for a fun casual wedding and the length is a great excuse to show off a fabulous pair of shoes. 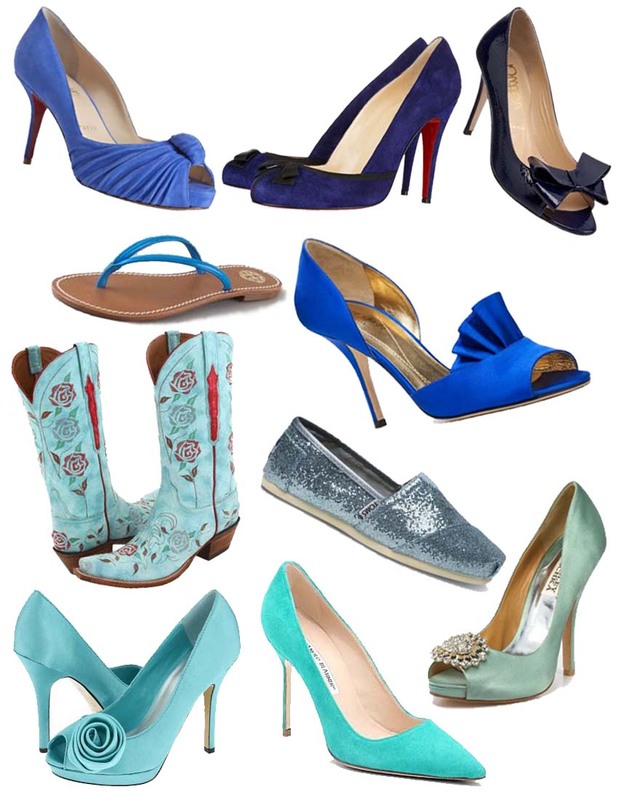 Check out our post on blue wedding shoes for ideas. 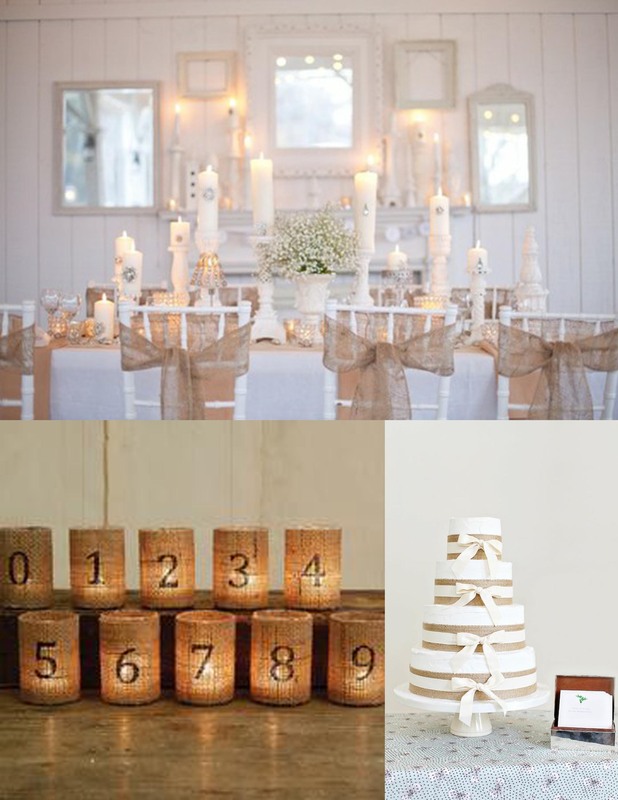 What is your favorite wedding gown trend?